Balance for Liam. 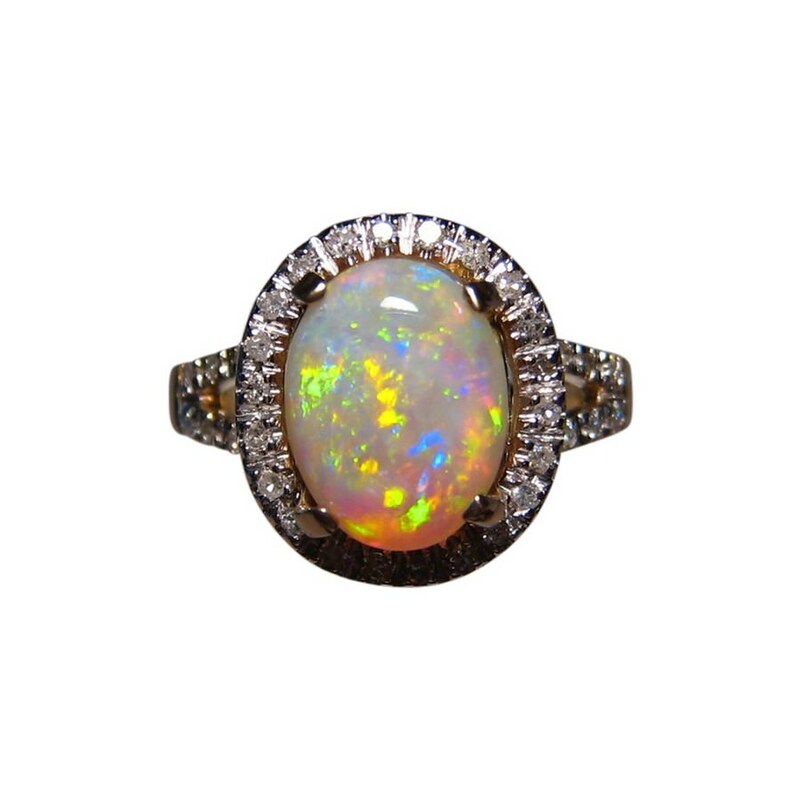 A beautiful Opal and Diamond ring with an oval Crystal Opal accented with Diamonds in 14k White Gold. 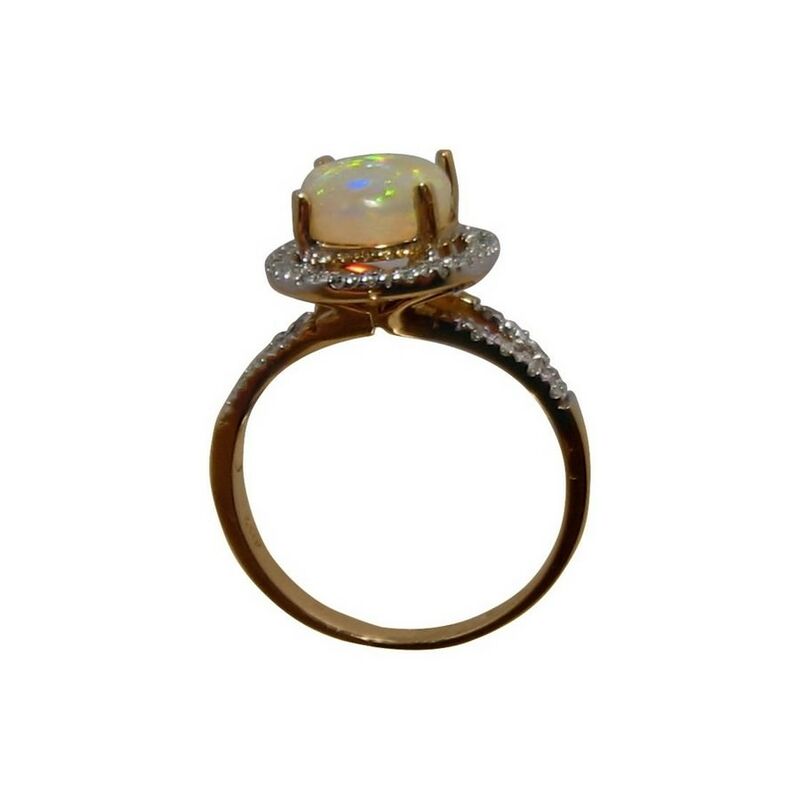 A beautiful Opal ring to wear at any time or ideal as an Opal engagement ring. 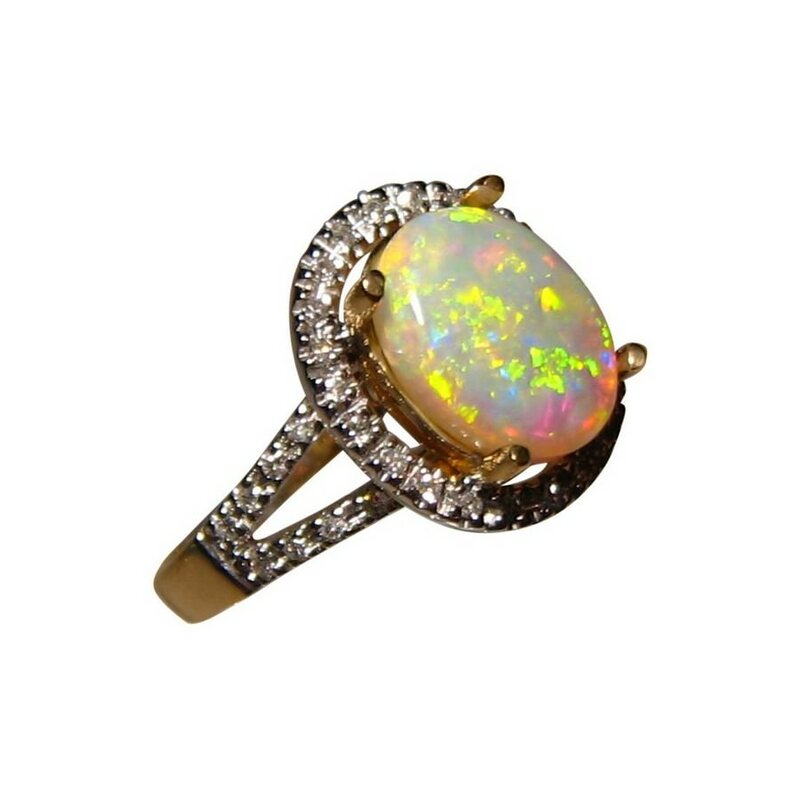 The ring features an oval Coober Pedy Crystal Opal that displays bright Yellow and Green in a sparkle play of color and the video below will show the pattern, sparkle of Diamonds and high shine of Gold. 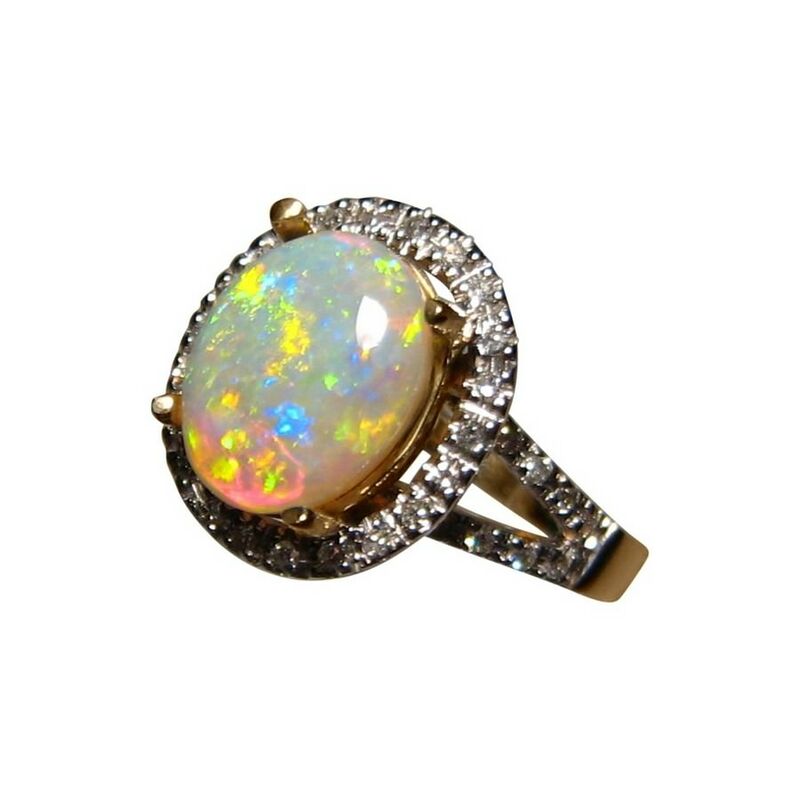 Surrounding the Opal is a halo of small quality Diamonds which also continue down the band which is two bands that join to the main band where the Diamonds stop. 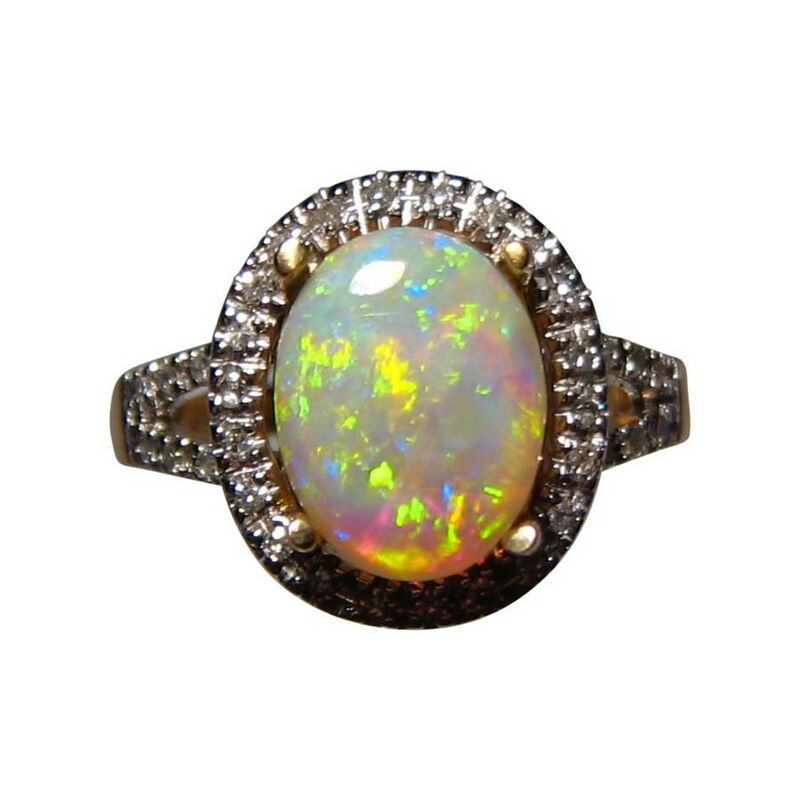 As the Opal will be secured after purchase, it can be mounted into a different ring or pendant setting or can be made with larger Diamonds. 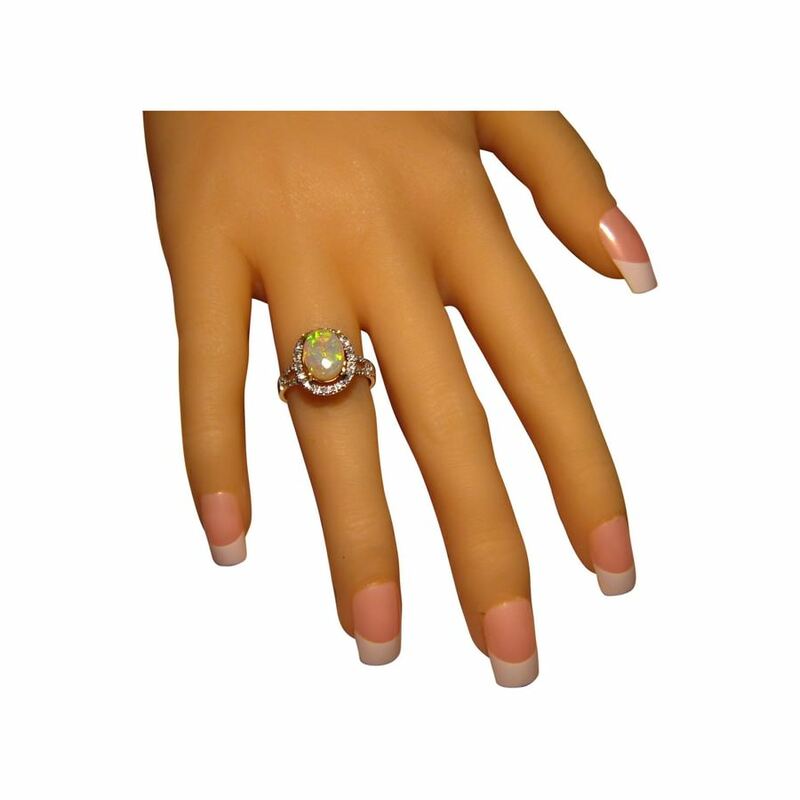 A stylish Opal and Diamond ring that is ready to ship as detailed below or will take about 21 days to make in any other ring size or Gold color. If you would like any other aspect of this ring changed, contact through this product for assistance and a no obligation price quote.